The south west peninsula of the Isle of Mull is known as the Ross of Mull. The Isle of Iona is located on the Ross of Mull's western tip. Both are renowned for their glorious, scenic and white, sandy beaches. 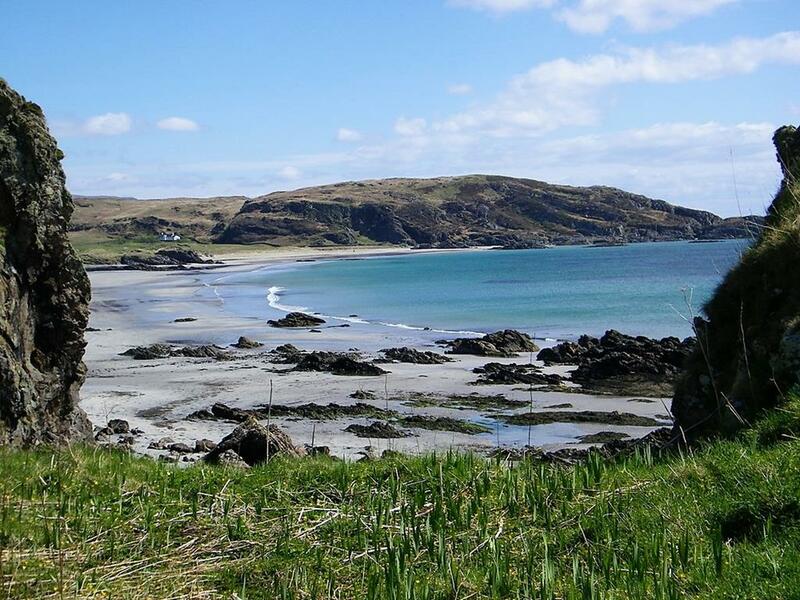 Explore these spectacular, lonely powder white, scenic beaches on Mull and stay at the superbly centrally located Seaview bed and breakfast in Fionnphort Mull. 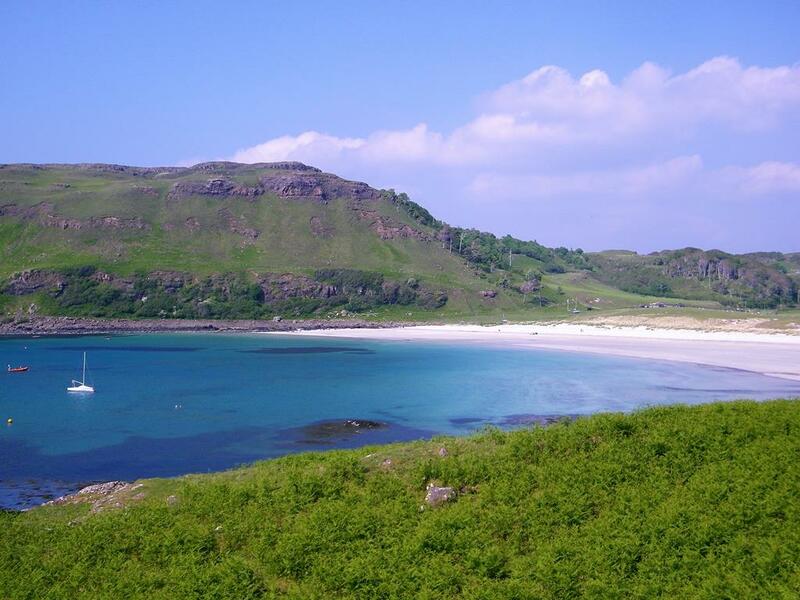 John happy to show you how to explore these hidden gems of beaches on Mull, by land or boat! Some are easily accessed, some are stiff hikes requiring fitness and walking boots. 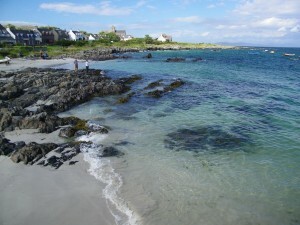 Seaview B and B is within 8 miles of 90 percent of the beaches on Mull and Iona. 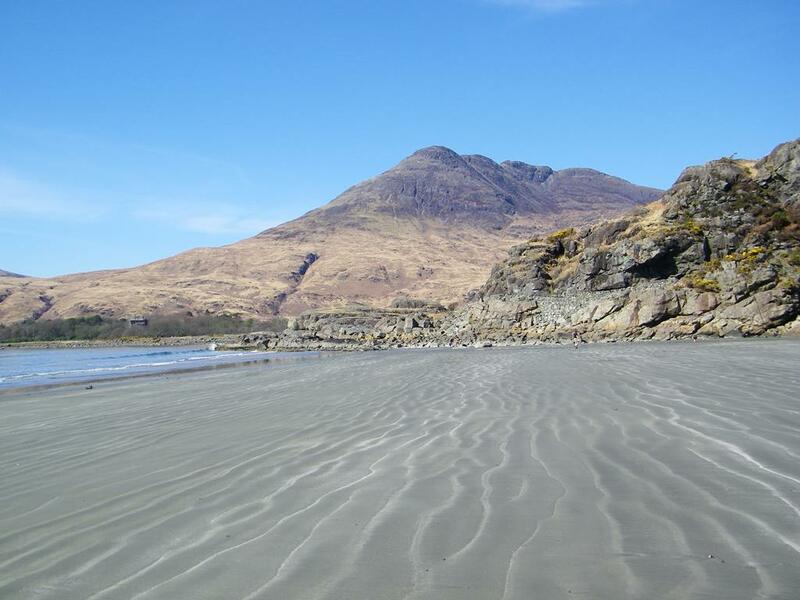 Our B and B is ideally centrally placed location to explore these beaches on Mull whilst staying on the Isle of Mull. You pass quaint St Kilda's Church, Loch Buie House and Moy Castle on the way. 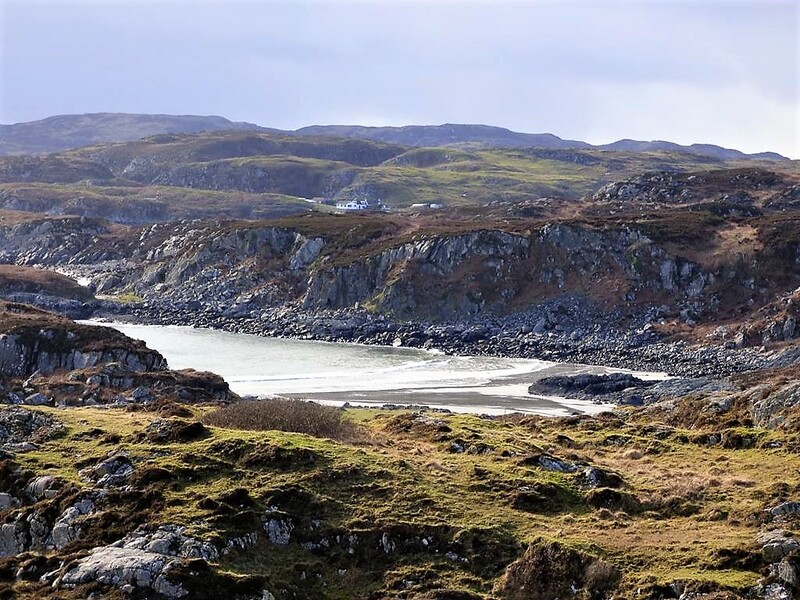 There are superb views of Ben Buie and discover ancient standing stones nearby. 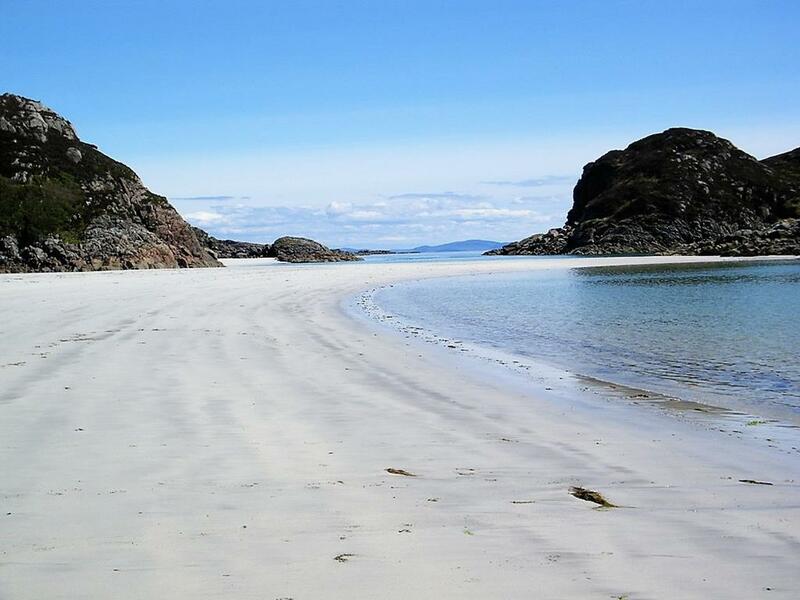 Silver sands of Laggan Beach an hour return gentle walk east along a flat track from Loch Buie shop car park. A scenic fertile oasis with mainly a stone beach with a little sand. However worth visiting for the scenery, eagles and otters. Good views to Jura and Colonsay. Starting point west to Carsaig Arches. 5.5 hour hard return trip. Arches are a superb geological feature. Wild goats up to a 100 in number wander the Carsaig area. To the east there is a stiff 2 hour walk to Loch Buie passing basalt dykes and stacks. Gaelic means Rocky white beach, a perfect description! Scoor is the area the beach is located. 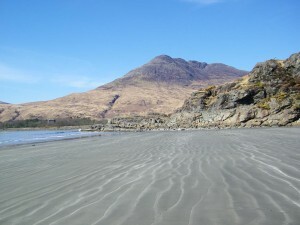 Located on the south coast of Mull, 15 minute walk from Scoor House, walking boots required. Spectacular beaches surrounded by cliffs and steep slopes, possible to visit beach with care. 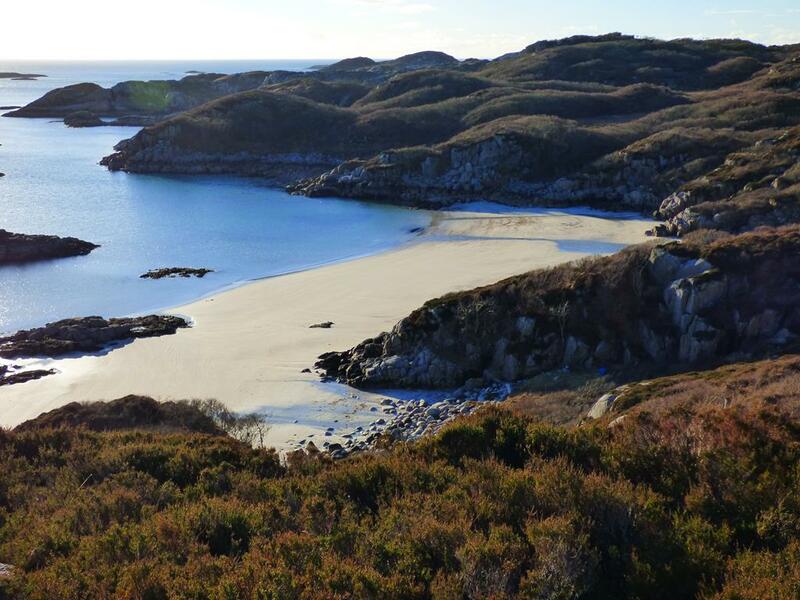 Eagle territory, superb views of Colonsay "Paps of Jura"
Walking boots required, rough tractor track through fields. Look out for eagles, kestrel, hen harrier and otters and seals. 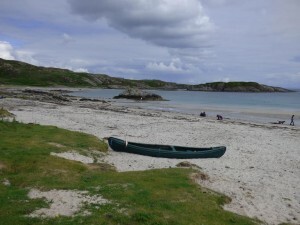 Beaches on Mull Port Bheathain (Mac Vean's Beach) or "Bay of the Thumbs"
boats. The Mull men won and cut off the MacPhees thumbs and they were unable to row home in their boats! Beaches on Mull Uisken "water Bay"
Pretty white. sandy, shallow, cove with islands. Ideal for swimming. Easily accessed with road to beach, 2 miles from Bunessan village. 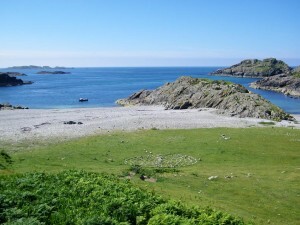 A popular camping site and family picnic beach. Remnants of a salmon fishery pier and Bothy. A short sharp walk to stone cairn with great views. 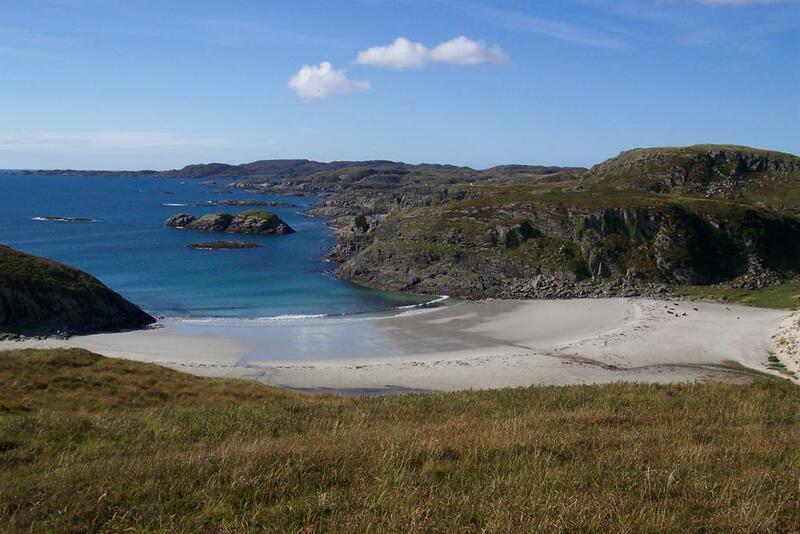 Wonderful wide stretch of white sand with a fabulous wildflower machair in May, June and July. Shallow water ideal for safe swimming. Much history including a standing stone, Iron Age Hill Fort or Dun and a cave with an interesting past. Interesting geology where schist meets the red Ross of Mull Granite. 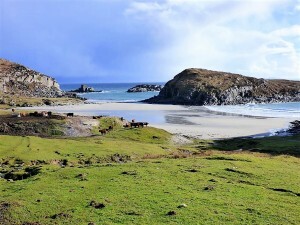 Livestock includes Hebridean sheep and Kyloe Highland Cattle and Ardalanish Weavers Mill. Eagle, hen harrier, waders, seals. 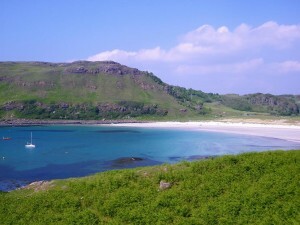 In John's opinion, "Simply the best on Mull. 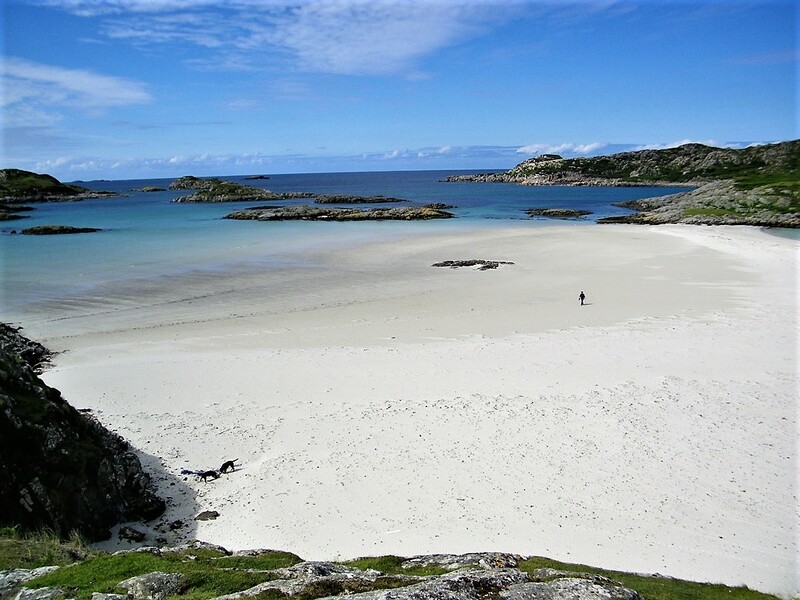 "A very scenic, remote white sand beach on the south coast. A one hour rough trek over moors through Tireregan Nature Reserve passing a ruined township. Fitness and walking boots required! Sitting on the beach on a good day you could be in Caribbean. Dip your toe in maybe not, you are in Scotland. 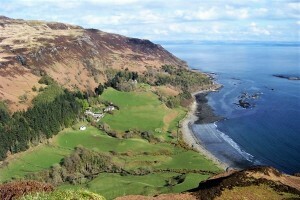 Rare butterflies and wildflowers on your trek and look out for hen harriers. 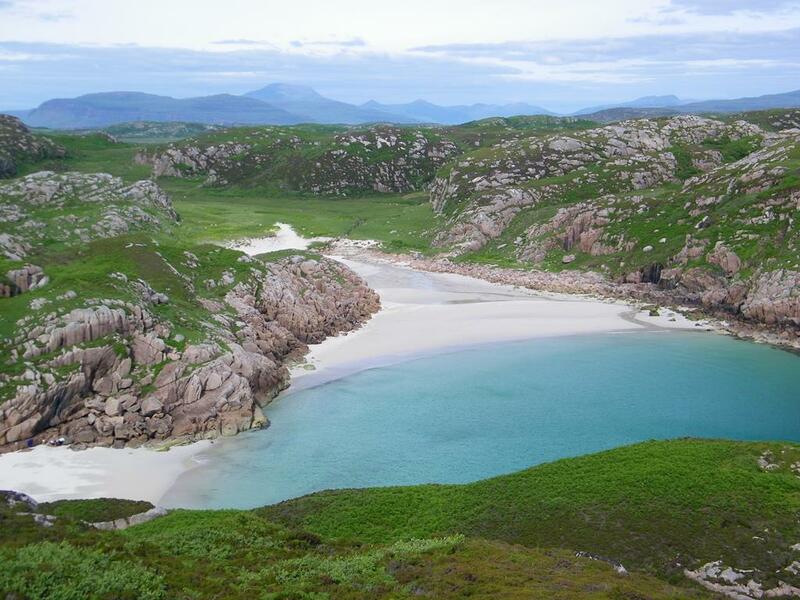 When John was a fisherman he regularly had his lunch in this stunning location. 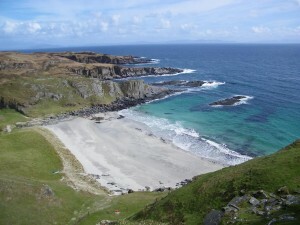 Beaches on Mull , Bay of the Seals, "Port nan Ron"
A white sandy beach tucked away at the head of a bay. Fairly remote, difficult to access through wood and rock outcrops. Situated on the Tireregan nature reserve below the areas high point Aird Mor (high point) Noted for numerous common seals in summer. There is a ruined house tucked away on its western shore and an ancient oak woods above. A good bay for catching lobsters. Ask John about easiest way to access the beach. 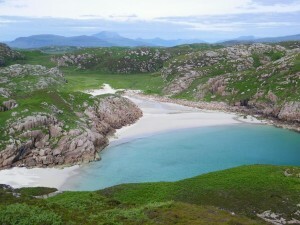 Picturesque small white sandy inlet with deep water. 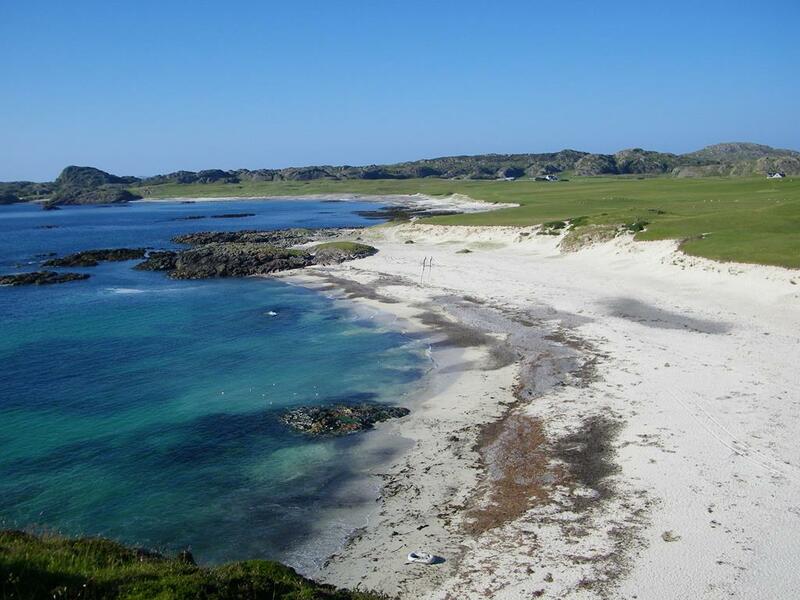 The name means "Inlet of the round rocks".One of Johns favourite bays for a barbecue and swim. John usually travels to it by boat, its easier than climbing! 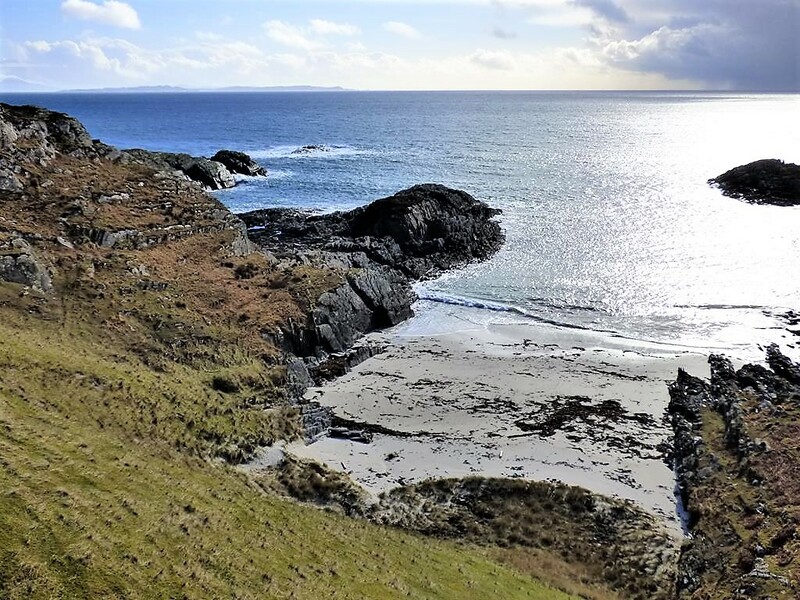 Located 10 minutes walk over the hill east from Knockvologan Beach it is very secluded. 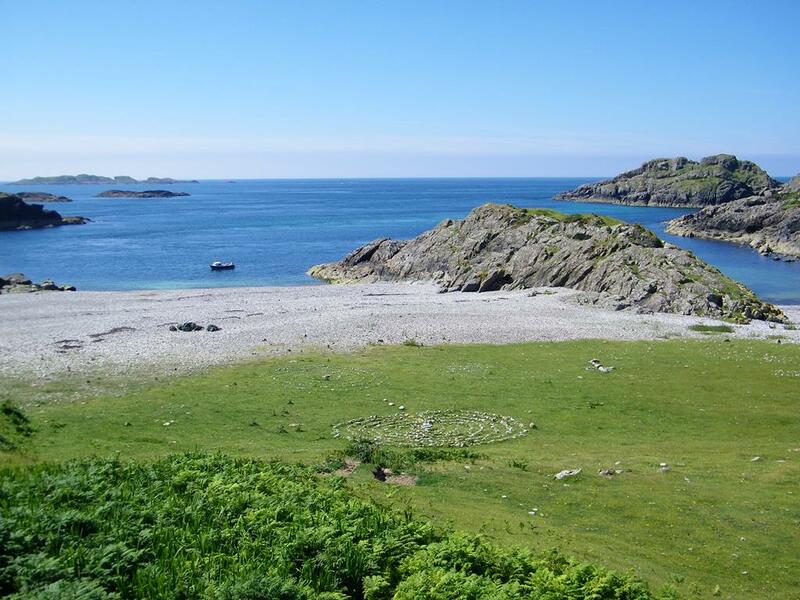 It has views to the island Eilean A Chalmain (Island of the Dove) where the farmer grazes sheep on the summer. John helps with his boat to take the sheep on and off to Knockvologan. A series of sheltered, scenic powder white strands. 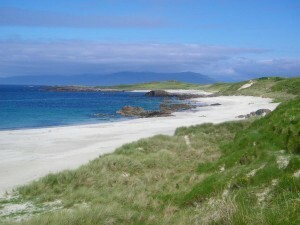 Again one of John's favourite beaches 5 minutes drive from Fionnphort and 5 minute walk down a rough track. Wellies or boots. with the dogs! A favourite for summer picnics and swims. Rabbits, seals, otters, buzzards, hen harriers, machair wild flowers and wonderful views. Another Caribbean like beach! 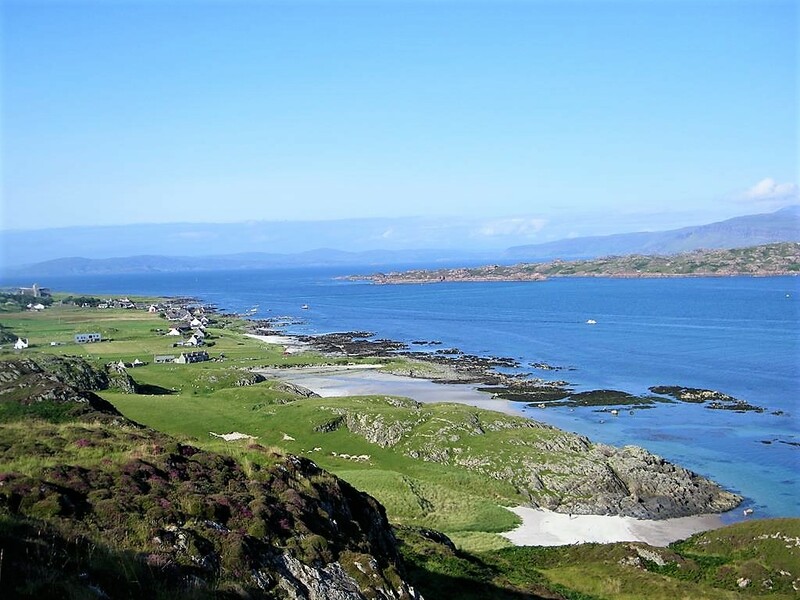 The shallow sea azure blue on a good day separates Mull from Erraid. 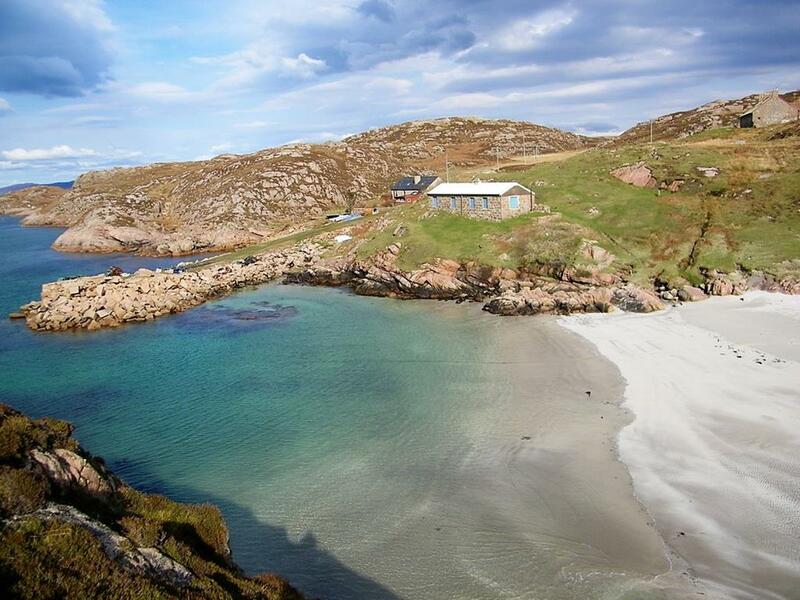 A lovely sandy cove surrounded by very pink Ross of Mull granite rock on the Isle of Erraid. Traigh Ghael means "beach of the Highlander." 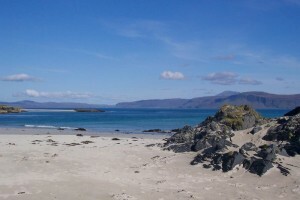 The beach featured in Robert Louis Stevenson's book "Kidnapped" where David Balfour was ship wrecked. 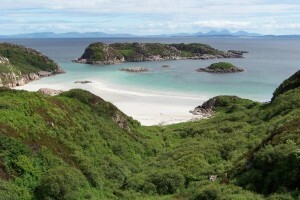 It is accessed from the tidal island of Erraid. A favourite mooring spot for passing yachts in the summer. Extensive beach facing west known for sunsets.Very accessible by road 1 mile from Fionnphort. Popular holiday destination, campsite on the machair. Known for Lapwings, Corncrakes, Redshank, Greenshank, Seals and Otters. Looks over to the Isle of Erraid and Stevenson's Dubh Artach (Black Rock) lighthouse is visible on a good day 15 miles out to sea. 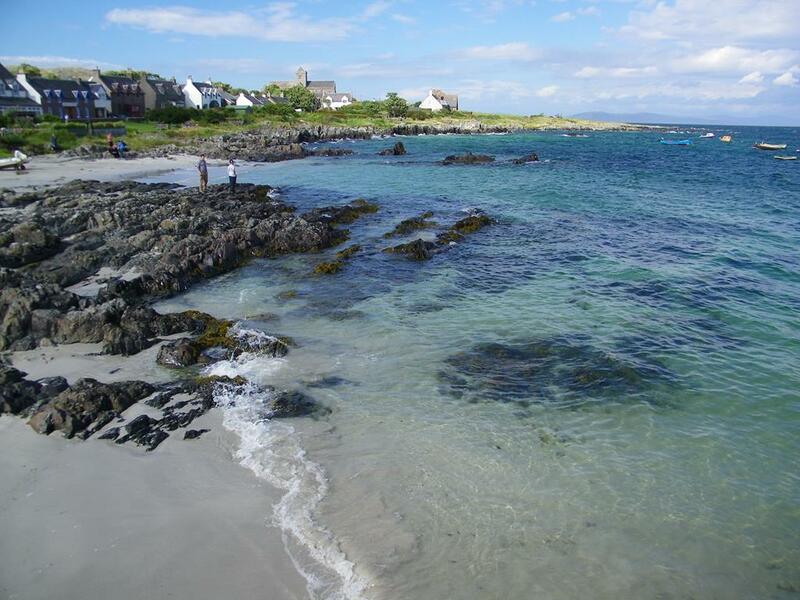 Seaview faces this beach looking onto its distinctive split rock and out to the Iona Abbey. 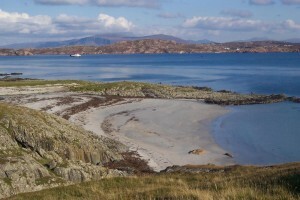 It is the ferry point for the islands of Iona and Staffa. Accessible from the road. 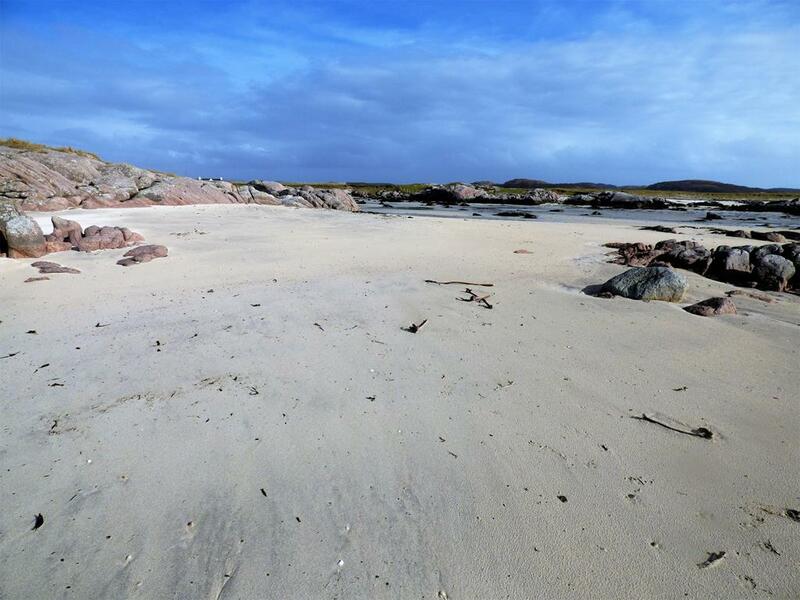 The sands are reddish in colour from the red granite base rock surrounding the beach. Guests can look over this wonderful panorama while eating breakfast in Seaview's dining room. Lovely white sandy cove 15 minutes walk over the hill from Fionnphort Beach at the mouth of Bull Hole Anchorage Ideal for a swim or picnic in the summer, however don't swim too far out, a strong tidal stream runs through Bull Hole outside the left side rock..Walking boots required. Full of history the stone pier with its old winch is a legacy of Tor Mor quarry above. 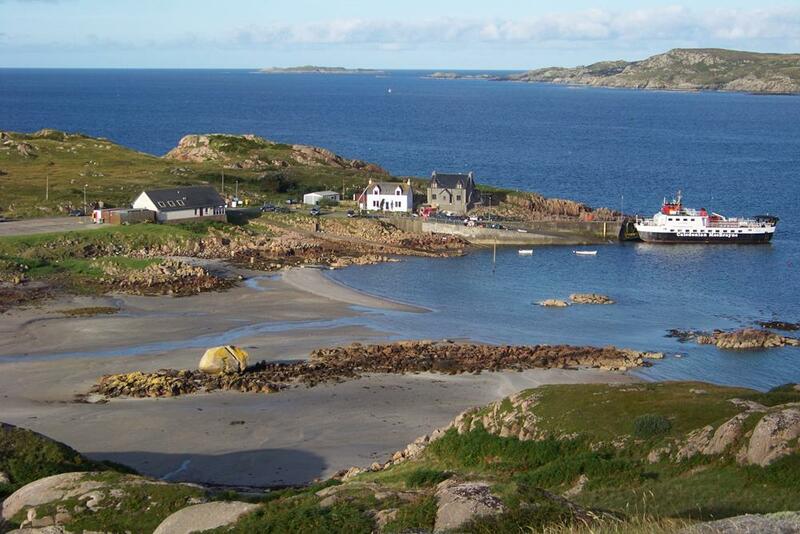 Superb views of Iona and Abbey. 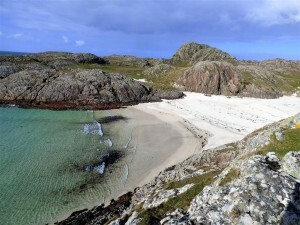 White sandy point north of Iona Abbey on the east side of Iona withfabulous views to Mull of Burg and Ben More. Noted for the light by the famous Scottish colourists notably Cadell. and Peploe. 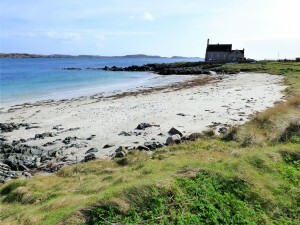 Island of the Storm lies off the north tip of Iona and has a sandy strand where Terns nest in the summer. John used to nip over on his boat with the kids for sports, swimming and barbie. "Beach of the seat referring to the big rock in the middle of it. Wonderful summer machair of wild flowers at the top of the beach where the animals are kept off to allow the flowers to show. Out of the tide a good safe beach for swimming. 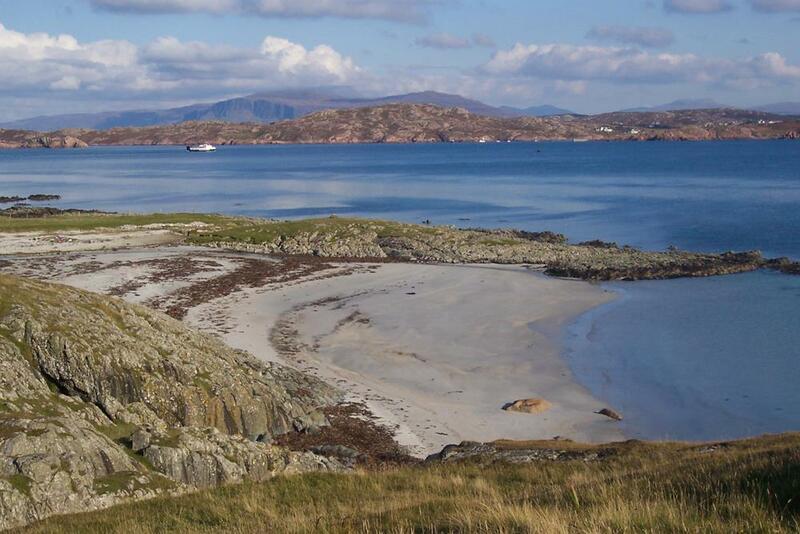 Grand views to the islands and Mull. 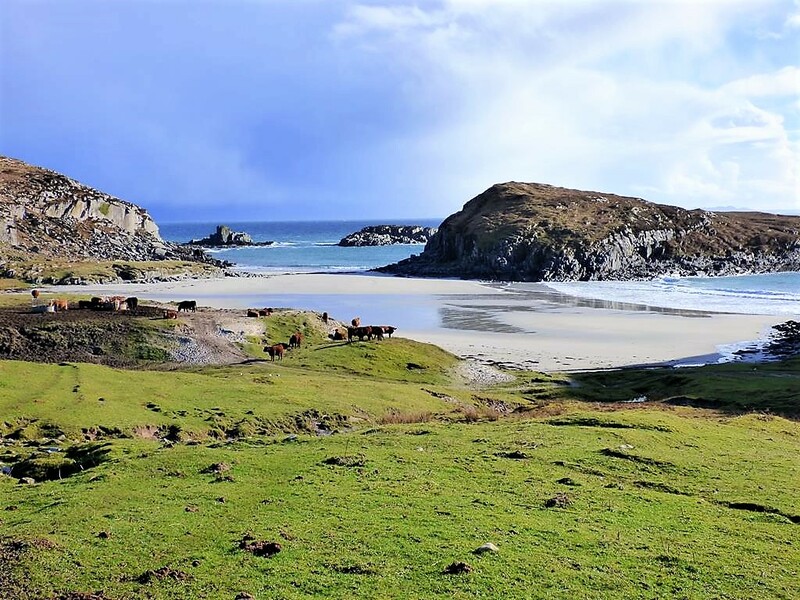 Located at the end of the south road a wonderful long beach of white sand and shell locally known as "The Machair" or quaint "Bay at the Back of the Ocean". 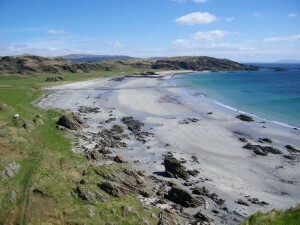 The path to Columba's Bay starts at the south end of the beach machair. There is a golf course manicured by the cows and sheep. 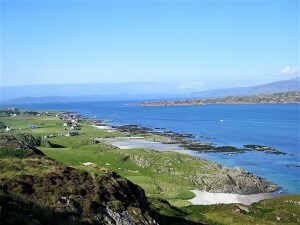 The fun "Iona Open"is played in August. To the south west on the rocky shore when there is a sea swell and half tide there is a spouting cave throwing up a high spout of water as the sea is forced through a hole..
A wonderful picturesque sandy secluded cove a short walk through a gate north of the Bay at the Back of the Ocean. Port Ban is sheltered from most winds except westerlies. It is a favourite spot for picnics and a swim. On a hot day when the tide comes in over the warm sand this is the time to take a dip when the water will be at its hottest. 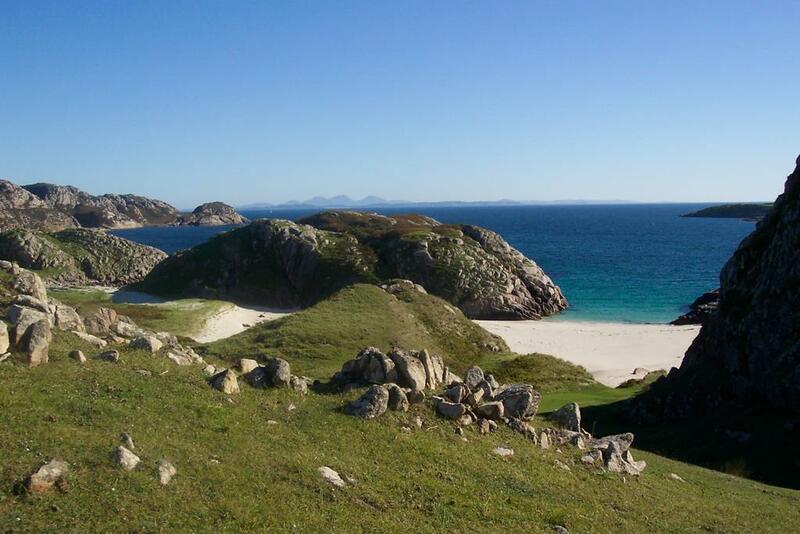 Just north overlooking the beach the imposing Dun Buirg ( hill fort or fortress) an Iron age fort. You can see a tiny part of what would have been a defensive wall on the flat top. 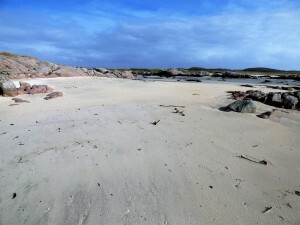 A remote coloured pebble beach at the south point of Iona where it is reputed Columba first came ashore on Iona. 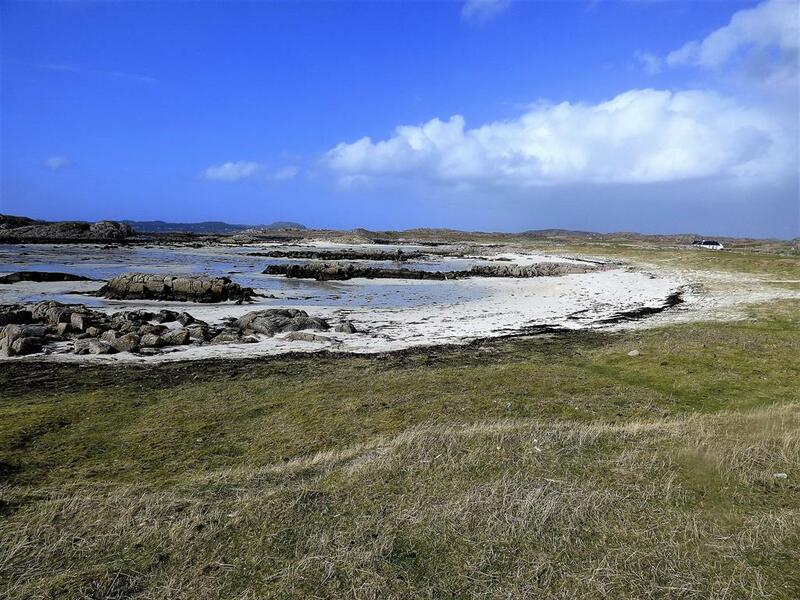 There is a path from the west beach machair via the golf course. The beach has a peaceful spiritual quality and is visited by numerous pilgrims. Johns boat is in this picture. The beach is near The Iona Marble Quarry which is a hike to the east requiring walking boots. Big Beach of white sand on the east side of Iona with splendid views of Mull. 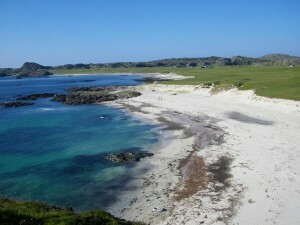 Popular beach for picnics and families. Easily accessible from the village a mile south of the pier. A sheltered shallow bay for swimming on a good day. 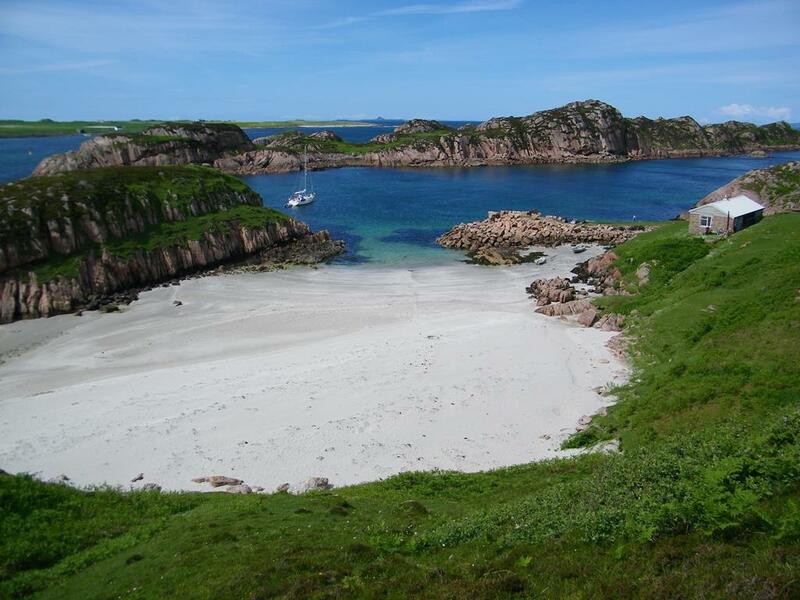 Port nam Marbh, Bay of the Dead a small beach just south of Baille Mor (big village) associated with death. A beach long associated with death. The coffins of the important chiefs and and kings were landed here from the mainland. Vikings legend has it slaughtered 68 monks on this beach. Finally female bone remains were found at the top of the beach suggesting perhaps the Nunnery burial ground was situated here at one time. 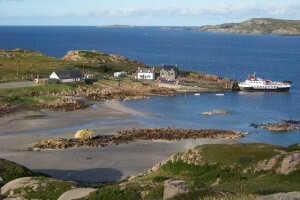 The bay overlooks the pier and ferry to Fionnphort and the excellent Martyrs Bay restaurant hugs the Bay to the north. The white sand beach below the village and beside the ferry pier. Busy in the summer with tourists. The locals pull there boats up on this beach and the Post office is at the top of the beach. You can watch the ferries go in and out from here. Named after Iona's devil bashing Bishop around 600 AD. Small secluded white shell sand bay south of Traigh Mor with splendid views to Mull. Popular picnic place for families. Easily accessed from the south road by track. Good for swimming on a sunny day.